Built 1827. 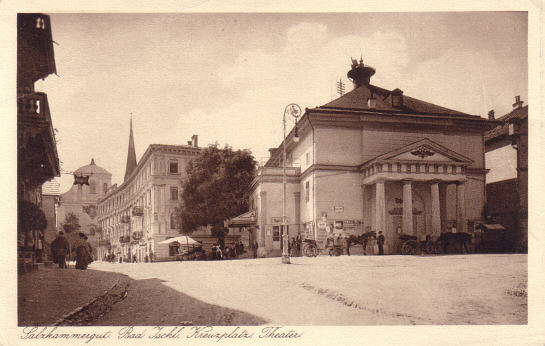 1865-1914 operated as an imperial theatre ("K. k. Hoftheater"). 1940 renamed "Lehár-Theater" in honour of the Austro-Hungarian composer Franz Lehár (1870-1948). 1957 converted to a cinema. Also known as "Lehár-Filmtheater". Used as a cinema and as a cultural centre. 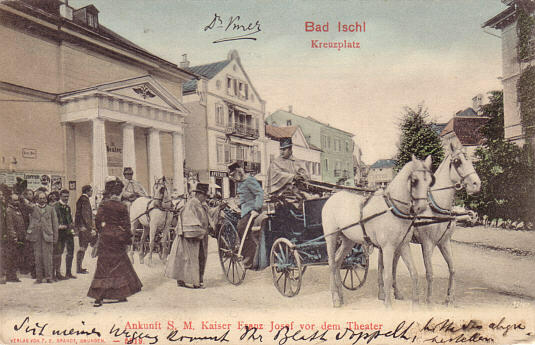 Front Text: "Salzkammergut, Bad Ischl, Kreuzplatz, Theater"